[INQ. NO. 1510M40] Yulchon’s cold-drawn steel tube is produced to the highest standards matching the discerning customers’ specific quality requirements – tensile strength, elongation, hardness, roughness, straightness, etc. 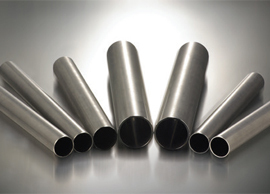 The steel tube is being widely used in various areas, including steering columns, rack and pinion steering gears, propeller shafts, gas cylinders, gas springs, hydraulic cylinders, shock absorbers, bushes, etc. The venture’s main products include Steering Column, Shock Absorber, Shaped Tubes, Rack&Pinion Steering Gears, Propeller Shaft, Hydraulic Cylinder, and Gas Cylinder&Spring. 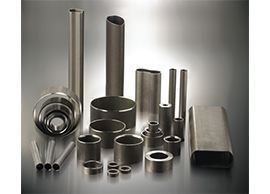 As a specialized manufacturer of cold-drawn steel tubes since 1986, the manufacturer has made steady efforts for technology development and product quality improvement, as a result of which the firm is currently actively exporting its items to overseas markets, especially to the United States, Australia, and some European countries. Now, some domestic global car makers including Hyundai Motor, Kia Motor, Ssangyong Motor, etc. are among its flagship customers. [INQ. NO. 1505M38] Yulchon’s cold-drawn steel tube is produced to the highest standards matching the discerning customers’ specific quality requirements – tensile strength, elongation, hardness, roughness, straightness, etc. Filed Under: Automotives Tagged With: bushes, Cold-drawn steel tubes, gas cylinders, Gas Springs, Hydraulic cylinders, pinion steering gears, propeller shafts, shock absorbers, Steel Tube, Yulchon Co. Ltd.
[INQ. NO. 1505M37] Since 1998, Yo-Jung Metal has been a specialized foundation in gas springs, piston rod for using shock absorbers. Domestically it is the only one manufacturing, polishing, and surface handling all core facilities. As a result of various attempts towards enterprise that holds market dominating technology over its competitors, it has succeeded in manufacturing more upgraded gas springs in terms of quality, price competitiveness. The gas spring from the company is mainly installed in automobiles’ tail gate and hood and helps doors easily open and close. It is a very optimal device to cushion the shock generated at a time when the driver opens and closes the door. With built-in competitive function, it allows the user to easily open, close and hold a heavy door and cover with less power. Such competitive features have resulted in such wide application as automobiles, railroads, agricultural machines, various industrial machinery, kitchen furniture and appliances, and office machines. Recently the gas spring started being used in various purposes of robots. It has been striving to secure market leadership with its best class products. As part of such moves, it has begun exploring potential foreign markets in anticipation of expanded business opportunities in cooperation with governmental agencies. [INQ. NO. 1309M09] Since 1988, Yo-Jung Metal has specialized in gas springs and piston rods for use in shock absorbers. Domestically it is the only company manufacturing, polishing, and surface handling of all core facilities. 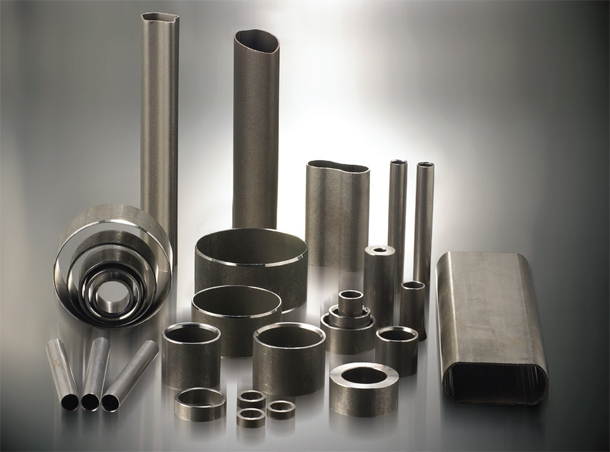 As a result of various efforts to become an enterprise with market-dominating technology dominating its competitors, Yo-Jung Metal has been consistently influential in manufacturing more upgraded gas springs in terms of quality, price competitiveness. 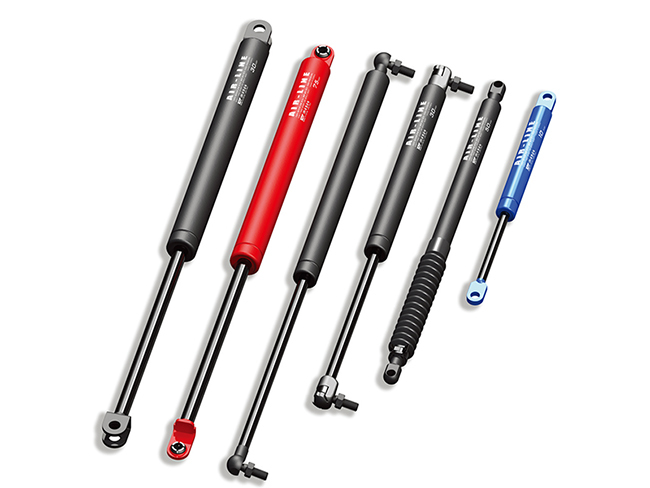 The gas spring is mainly installed in automobile tail gates and hoods and for the easy opening and closing of doors. It is a very optimal device for covering large items and to allay the shock generated when a driver opens and closes the door. With built-in competitive function, it allows the user to easily open, close and carry heavy doors and covers with much less power. These competitive features have resulted in such wide application as automobiles, railroads, agricultural machines, various industrial machinery, kitchen furniture and appliances, and office machines. Recently the gas spring started being used in various purposes of robots. The company has been earnest in securing market leadership with its best class products. As part of such moves, it has begun exploring potential foreign markets in anticipation of increasingly growing business opportunities in cooperation with governmental agencies.